In the concluding part of my interview with Dr. Larry Real, we discuss such issues as mental illness stigma, how peer specialists are helping to combat that stigma, and how there is even stigma within the mental health field itself. This I find particularly alarming because it is hard enough for people like me to come out and say “I have a mental illness,” and then not be able to get adequate help. But that is why we have psychiatrists like Larry, who are dedicated to transforming the mental health system into a recovery-oriented model, which is what people who are suffering need most. We need organizations like NAMI (National Alliance on Mental Illness) to step up to the plate and help families provide the support that they and their loved ones need. Before I met Larry, my family was kept out of my treatment, but that inclusive support is crucial to recovery. Also, Larry says it is imperative to have a meaningful purpose in life in order to recover. But he believes, as I do, that you can’t have a purpose if you’re not willing “to grab the brass ring.” You need to take responsibility for your actions. And when somebody 302’s (involuntarily commits) you, you shouldn’t be complaining because if you are acting out of control and a danger to society an involuntary psychiatric commitment is a logical outcome resulting from that behavior. It is also a step that is taken for your safety and the safety of others. Finally, what I’ll take away most from this interview is that Larry was able to talk to me as a colleague and not just a former patient. He treated me as an equal and never condescended. I was a working journalist doing an interview for OC87 Recovery Diaries.com instead of the person who had hit rock bottom and ended up in a mental facility over twenty years ago. Two decades later, Larry and I have come full circle with this interview and, for that, I will always be grateful. You can read part one of my interview with Dr. Larry Real at this link. Bud Clayman: How does one recover from a mental illness? What are the steps one can take? Dr. Larry Real: I prefer to think of the recovery process the way Dr. Mark Ragins does. He’s a very innovative and eloquent psychiatrist who’s been Medical Director at The Village in Long Beach, California since the early ‘90s. Ragins talks about recovery as having four stages, much like Elizabeth Kubler-Ross’s stages of dying, in that they’re not linear. Each stage is important, but people don’t necessarily move through them in a particular sequence. Not surprisingly, it begins with hope—where most people think recovery starts. I think it’s the responsibility of all of us who try to engage folks to move on to a recovery journey, or to continue one, to be all about hope, but realistic. Hope that things can be better than they are now, that life has more to offer, that it’s okay to reach for your goals. To paint a picture of a brighter future. Not a Pollyanna-ish brighter future, but something reasonable and attainable. Somebody might have met with you ten years ago, Buddy, and said, “You know, I still see a future for you as a filmmaker.” And nurture within you the belief that the goals that you had are still within reach. The second stage is empowerment. Once a person believes something is possible, he or she needs to focus on their strengths, on the things they can do—versus what others can do for them —to take steps towards their goals. I guess you could say people need to believe in themselves, and in the reality that they have choices. The third stage is accepting responsibility for your own recovery journey. Everybody knows this at some level– you gotta own it. It’s your life, and if you want to get where you’re going, at some point you need to grab the brass ring. You need to take advantage of your opportunities. If you choose job training — if you feel that’s a step along the way — you need to show up for the job training. 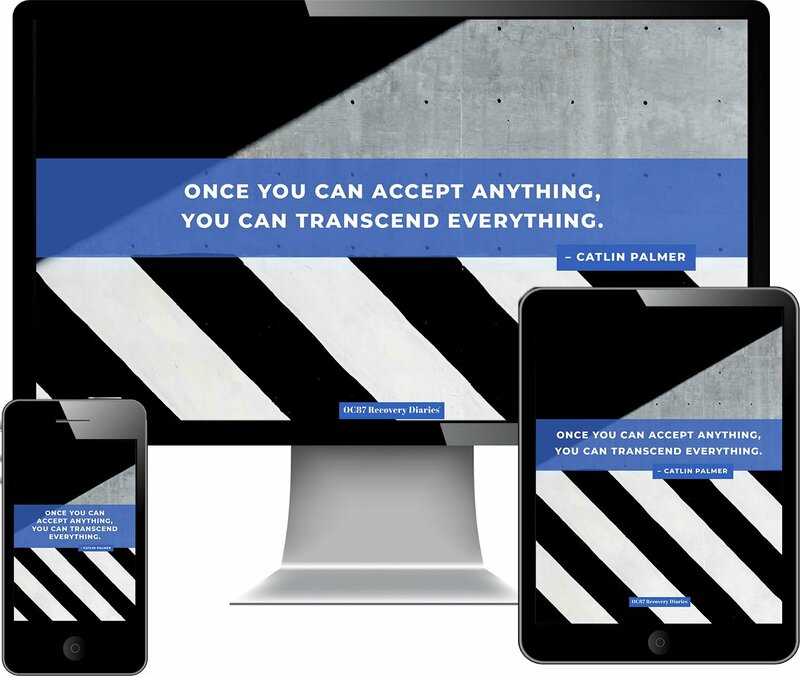 And you have to accept taking a certain amount of risk—change isn’t really possible without risk. The last stage is achieving a sense of purpose, or meaningful roles, in your life. Next to hope, that may be the most important stage. People need to feel that there’s a reason to wake up in the morning. They need to feel that they participate in and are a valued member of the community in which they live. And it doesn’t have to be as Chief Medical Officer of the Department of Behavioral Health. It can be as someone who flips hamburgers down at the local McDonalds. So, I think people need to know that there are ways to get on to the road to recovery. And we need to see our responsibility as helping people get on that path and stay on it. I’m talking about professionals in the field–that is our job. Bud Clayman: Can you talk about stigma in America and around the world? 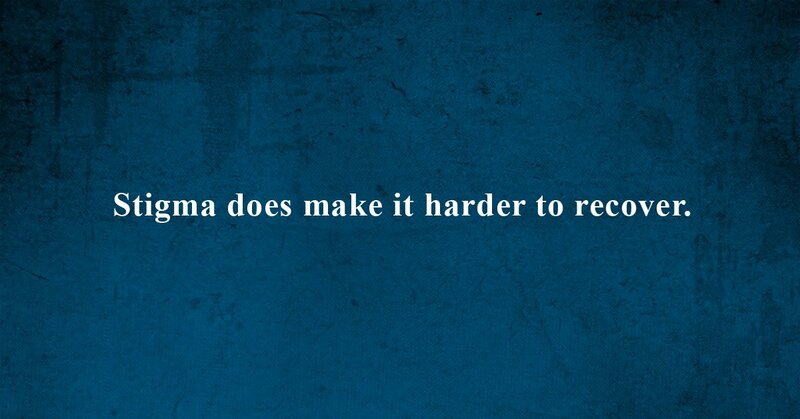 Dr. Larry Real: Stigma does make it harder to recover. 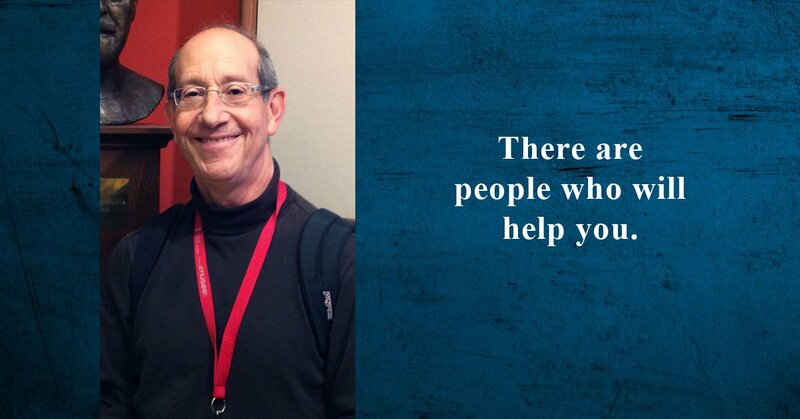 I was fortunate to have Dr. Paul Fink as a mentor. Dr. Fink was one of the early champions of the anti-stigma movement. Back in the late ‘80s, when he was president of the American Psychiatric Association—in those days, each president chose a theme for his/her presidency– his theme was “Fighting Stigma”. We’ve come a long way since then. In the late ‘80s, actors and actresses and athletes and people like Patrick Kennedy did not come out and talk about their or their loved ones’ mental health or addiction challenges. Just last night, Demi Lovato was featured on one of the TV news magazines. She talked openly about her eating disorder and her bipolar disorder. That didn’t used to happen. And the public has caught on—they increasingly understand mental health is just part of health. I’ve often wondered, in fact, how stigma perpetuates itself. If the prevalence of psychiatric disorders is in the neighborhood of 15 to 20 per cent, who could be more than one or two degrees of separation from someone—a parent, sibling, friend, neighbor, co-worker– who’s been challenged by a mental illness? Looked at from that perspective, it’s puzzling that stigma has been able to sustain itself over the years. Except that it’s so deeply entrenched. Bud Clayman: Is it fear? Dr. Larry Real: A lot of it is fear- and ignorance. As part of a pilot program in healthcare integration, I used to provide consultations at a local health clinic. I saw a man whom people had been encouraging to see a psychiatrist for a number of years. Somehow a social worker, the behavioral health consultant there, convinced him that I might be a safe person to talk to. He was held back by two lingering stigmas. One– if you talk to a psychiatrist, if you get mental health care, that means by definition that you’re “crazy”—which flies in the face of the odds, given how rare psychotic disorders are, maybe two per cent of the population, compared to, say, mood disorders, which may affect ten times as many people. And secondly, he apparently had an uncle, who years ago had a serious mental health problem and was committed for treatment—I think the common expression people used in those days was “put away.” This man was scared to death that if he talked about the symptoms he’d been experiencing off and on—and, mind you, coping with and managing to live in the community with, even though he wasn’t in treatment—scared to death that he’d be “put away.” These fears are deeply embedded in society, and although we’re rolling back the cloud of stigma, it’s a big cloud. Bud Clayman: What are the specific things that people can do to combat stigma? Dr. Larry Real: Being out in public and talking to people is one thing. 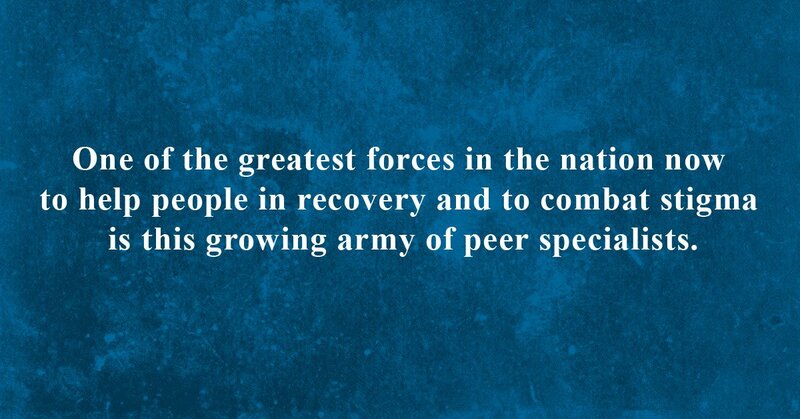 My own personal belief is that one of the greatest forces we now have to help people in recovery and to combat stigma is our growing army of peer specialists. Bud Clayman: What is a peer specialist? Dr. Larry Real: A peer specialist is someone with “lived experience,” someone who has faced major challenges with either a substance use disorder, or another psychiatric disorder not connected with substance use, or often both, and has managed to recover to the point where, after completing a training course, that person can use that combination of experience and skills to engage and assist others who are not quite as far along in their recoveries. I was fortunate to attend one of the graduations from the Certified Peer Specialist trainings that are offered at the Mental Health Association of Southeastern Pennsylvania, when each graduate gets to say a few words upon receiving their certificate. After thanking their instructors, the theme that was repeated over and over spoke to their incredibly strong desire to give back, to reach out to other people, and help them move forward in recovery. Similarly, I recently attended a consumer forum related to the state’s initiative to create “person centered medical homes.” It was held at Project Home’s new Stephen Klein Wellness Center,(Project Home is a non-profit organization that provides housing and services to chronically homeless men and women in Philadelphia) and Project Home participants gave the actual testimony. Each told how Project Home reached out to them, treated them with dignity and respect when no one else seemed to care, because they were homeless and dirty, living on the street. And, like those graduating from peer specialist training, each spoke of her deep commitment to”‘give back” to others facing similar challenges. This fall, I participated in a workshop on “Teaching Recovery” at the Institute on Psychiatric Services [the community mental health meeting of the American Psychiatric Association] in New York City. A certified peer specialist from Horizon House [a Philadelphia -based mental health facility] gave the last of the three presentations. She simply lit up a room full of psychiatrists, some of whom I felt, maybe for the first time, finally understood the potential contributions to the field a person with lived experience could make, one with the passion, wisdom and courage to talk openly about her recovery, and the skills to help her peers attain their recovery goals. I think these ambassadors, who demonstrate day in and day out that recovery is possible, contribute tremendously to stigma reduction, especially within the behavioral health field. Bud Clayman: That’s got to be disheartening that there’s stigma within the field itself. What has frustrated me for many years, why I’ve stayed involved in teaching, and what has confused me and others is that psychiatry seems to be the only field of medicine where, for some reason, the best and the brightest are not encouraged to work with the people who have the most serious challenges. Instead, until just recently, the best and the brightest tend to be steered into private practice. At that meeting in New York, there was an unprecedented number of medical students interested in going into psychiatry, and an unprecedented number of psychiatric residents from various regions of the country interested in going into public service psychiatry. I think the tide is starting to turn and many of the best and the brightest are now moving in the direction of public service. Bud Clayman: What is the function of NAMI and how can it help people who may be reading this? Dr. Larry Real: NAMI is primarily an advocacy group. They provide advocacy and support for both family members and loved ones of people with serious mental illness, and for people in recovery themselves. They have been the major factor in the lobbying of Congress, the federal government, NIMH, to increase research spending and in the fight for parity. And, of course, for inclusion and better treatment for people with serious mental illnesses. Bud Clayman: How can somebody who has a mental illness reading this interview use NAMI to help them, or get a family member into therapy? Dr. Larry Real: There are chapters, as I understand it, just about everywhere in the country. Usually, if you Google NAMI and your state, the NAMI website can direct you to a particular chapter. When I was medical director at a psychiatric hospital, we made sure that the social workers assisting our inpatients with their discharge planning met with the family and educated them about, or referred them to, this important resource. NAMI was a grass roots movement, started as Families United for Mental Health back in the 80’s. Initially, the prime purpose was to combat stigma and provide support to families, so they wouldn’t feel so isolated and alone. They could meet with other people going through the same challenges that they were, and the same heartbreak. Banding together as they have over the past 30 years, they’ve been a key force for change in the system. Bud Clayman: What about getting past the fear of just accepting that there’s a problem with the loved one going on? How do you get past the stigma, the fear, the shame that has developed? Dr. Larry Real: NAMI – one of their rallying cries for a long time was that “mental illness is treatable.” To address the greatest fear, that what’s wrong can’t be fixed, spurred by those old notions that people don’t recover. The hope would be that we’d have fewer people afraid to ask for help. And if a person’s afraid, they need to talk to someone that they trust. They’re going to have to overcome the fear somehow, or they’re not going to be able to take action. Bud Clayman: Well how do they do that because that’s a hard thing to do to take that leap I think? Dr. Larry Real: When people face crises in life, don’t they normally go to someone that they trust? It could be a brother, it could be a minister, it could be the family doctor. It could be a colleague. It could be a friend from college, whom you know went into the field. I think you have to take that first step. Bud Clayman: How important is work for recovery? Dr. Larry Real: There’s no simple answer to that. It all has to be determined by the individual. Work is certainly one of those things that falls under the rubric of a sense of purpose to one’s life, a meaningful role in the community. That can be almost anything. That can mean volunteering at the library and reading to kids once a week. That can mean working part time at a restaurant. It can mean working your way back into the profession of your choice, before illness derailed you. One thing that has struck me, again referring to The Village, they have a cookie shop there. They bake the cookies, they sell them on site, they fill mail orders. All of the work is done by members of The Village. When members apply for a job there, they don’t typically receive any vocational or pre-vocational training. If they perform the job well, they keep the job;if they don’t, they lose the job. Maybe they’ll try again another time, and succeed. In other words, they don’t waste time or effort trying to figure out if someone’s “ready” to work—that kind of thinking has kept people in limbo for years—“when your hallucinations are under control, then…”. And they’ve discovered there’s very little correlation between the severity of one’s symptoms and one’s job performance. We’re probably not much better at predicting “job readiness” than we are at predicting violence. Over my career, I’ve filled out many short or long term disability forms for patients. The critical question always comes down to: “Is Buddy able to return to work? After all, he just had an episode of illness.” Meanwhile, I’m thinking—‘the proof is in the pudding’. The only way we’ll know if Buddy’s able to return to work is when he gets back to work and we see what happens. So, I would typically respond, “Yes,” unless the person was in the middle of an acute episode of psychosis. Larry Davidson and others speak about this aspect of recovery in the context of civil rights, of the Americans With Disabilities Act. We don’t say to a person who’s in a wheelchair because he was injured in a skiing accident, “When you’re able to walk, we’ll take you back into the workforce.” But we have for years said to people in recovery from a psychotic disorder, “Well look, when you stop hearing voices,” — which of course may never happen — “then we can take you to that next stage of job training.” Or, “When you stop using cocaine, then we’ll give you a chance at the job.” Of course, if you go to your job high on cocaine, you’re unlikely to perform well. The reality is that, quite often, it is the job itself that is the crucial motivating factor that helps people move forward with those other aspects of their recovery, like attaining sobriety. And I’ve known many people who handle their jobs extremely well, despite consistently experiencing symptoms of psychosis. In Anatomy of an Epidemic, Robert Whitaker writes about the irony that over the past 20 to 30 years, despite the discovery of new and more effective treatments for depression, the number of people on the disability roles because of depression has increased tenfold. In part, because we have an “‘illness treatment system,” not a “mental health system.” And because we have a disability system that, despite some improvement, still discourages people from risking a return to work, due to the real fear of losing their disability coverage. Bud Clayman: Does the mental health consumer have to advocate more for themselves? Dr. Larry Real: The education groups that NAMI runs for family members helps them resolve those kinds of dilemmas. Increasingly, what we expect of treatment teams, both community based treatment teams, and inpatient teams, is to include the family as part of the team. It’s funny. I’ve spoken to people involuntarily committed who have complained about the lack of control. “Every time I turn around the police are 302ing me.” The person ends up in the hospital, doesn’t want to be there saying “It was a mistake, I just did something stupid, why can’t you just let me out?” Or someone gets involuntarily committed because they took an impulsive overdose and an emergency room physician got nervous, maybe overly concerned about possible medico-legal risks, and filed the commitment petition. I try to remind patients, if you act in such a way that invites others to take control over your life, you’re going to constantly be dealing with people trying to take control over your life. I think the same thing applies to families. If family members, loved ones, are part of the team and the team is really helping the person towards recovery, then presumably there’s a wellness and recovery action plan [WRAP] at play. If it was my son, and he wanted to take a step that would give him more independence than I felt he could handle, then I’d want to insure there’s a a good crisis plan available, we’d have to be proactive in addressing the risks. You’re getting your allowance on Thursdays, but you run out of food on Tuesday, where are you going to go? Are you going to end up in an emergency room? If the team, including the person in recovery and their loved ones, plan together to minimize those risks, then it may be easier. Not that it’s ever easy. Heck it’s not easy to let your children leave home who don’t have mental illness. These are agonizing dilemmas that family members deal with day in and day out. Bud Clayman: What is the future of mental health? 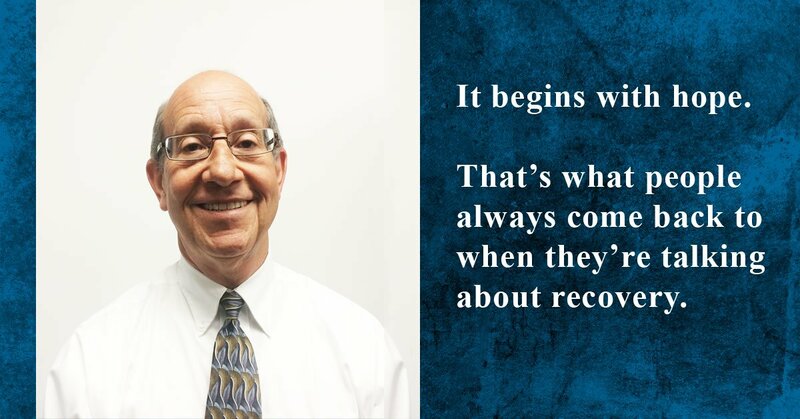 Dr. Larry Real: Well the future is two things in particular, continuing to transform our treatment systems and our agencies into recovery oriented systems, ones that increasingly empower people in recovery and their families. Someday, consumers and family members will not just be token members of your agency’s board of directors, they’ll be the leaders, true partners in running the agency, determining the service mix, and assuring the quality of care. The other major thing that we’re moving into now is more of a population health focus, which will enable us to more effectively address inequities in access to care and outcome, and to make our interventions more “upstream,” rather than waiting for people to get very sick before they try to access care. 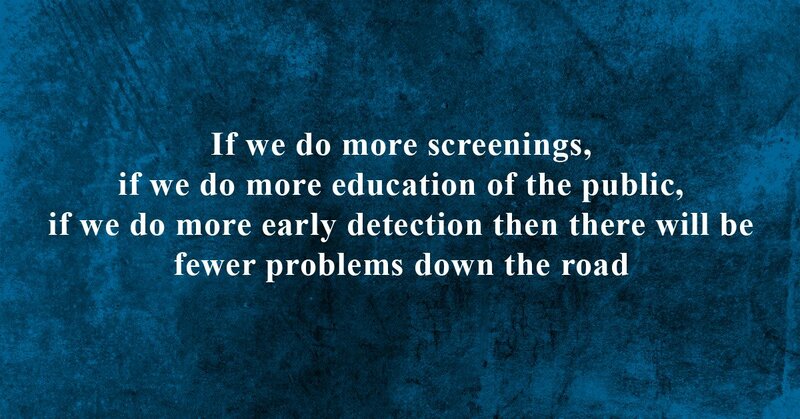 Similarly, if we detect and address mental health problems earlier, through education and screenings, there will be fewer problems down the road. For example, we now know a tremendous amount about the way adverse childhood experiences [ACEs]—trauma, neglect, hunger, poverty, witnessing violence—have broad impact on both physical and mental health in adulthood. To the extent that we can, as a society, meaningfully address these “social determinants of health,” not only will we have a society that is more truly just, but one that is healthier in all possible ways, rather than one dealing with the known consequences of not doing so. Bud Clayman: Do you see that happening? Dr. Larry Real: It is happening. Mental Health First Aid is a population health approach, both reducing stigma and preparing citizens to help others experiencing a mental health crisis, and by the end of 2016, we expect 20,000 Philadelphians will be certified in MHFA. There are also three kiosks in place now, including one at Drexel University and one at the “Q Clinic” at the ShopRite in Roxborough, PA, with more to come, where people can do a confidential screening and determine for themselves, without talking to a mental health professional whether or not it might be useful for them to get treatment — “a check up from the neck up.” If the screen is leaning towards positive, they can immediately be provided with the necessary resources. A population health approach, using public health strategies—prevention, screening, early detection and intervention, data analysis—is where we’re heading. 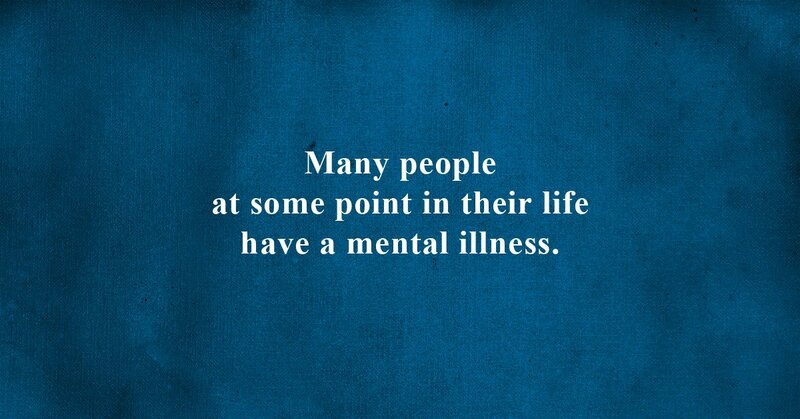 Everyone is vulnerable to experiencing a mental health challenge. 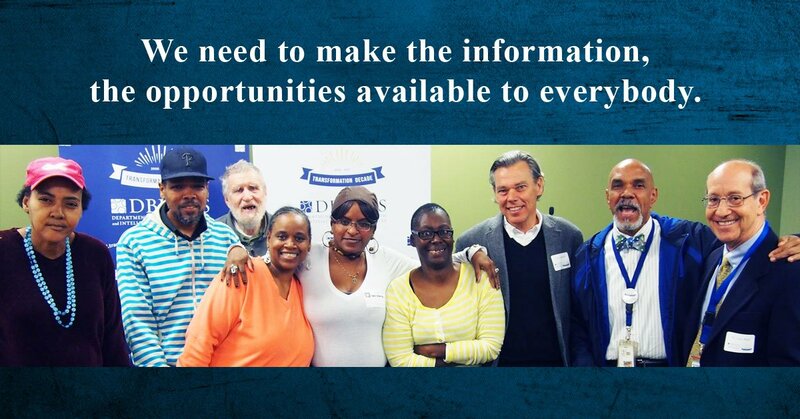 We need to make the information, the opportunities available to everyone.